Career Cruising is a robust web-based career exploration tool equipped with powerful college and graduate school search engines and a dynamic employment guide. Within the online platform, students can inform career and college options and develop a career plan. 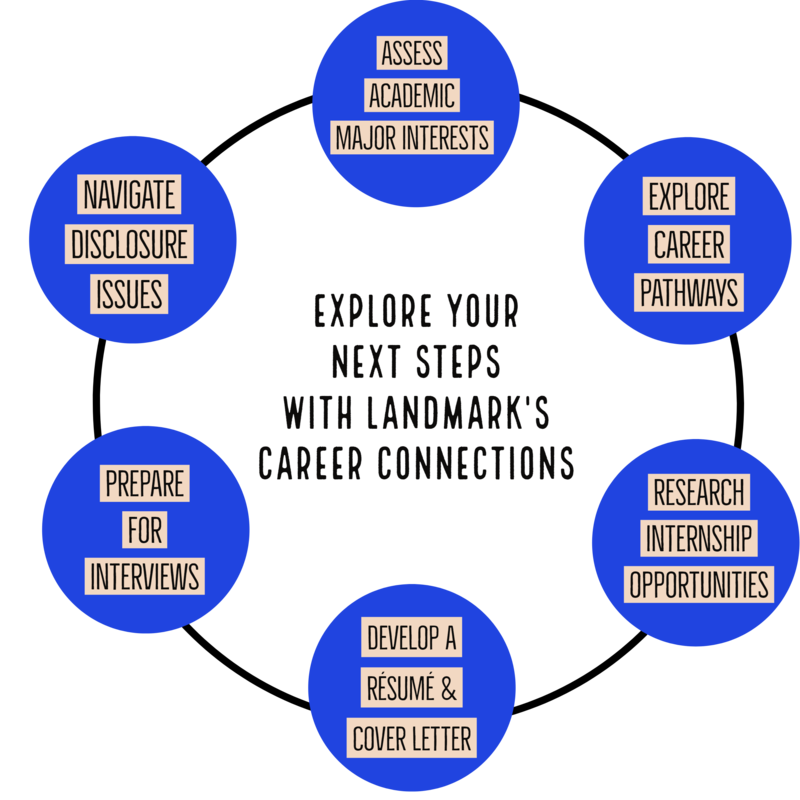 Landmark College students retain access to Career Cruising after graduation, and it is also available to alumni. Students should contact Career Connections for an account. Career Connections has developed several guides for students, covering topics including The Interview Process, Résumé Guide, and Cover Letters. In addition, our office has an extensive resource library and can help direct students to online resources, job fairs, and networking events. Landmark College is an official member of the Bender Consulting College Partnership Program, which provides students and alumni with disabilities access to full-time and internship opportunities. JAN provides comprehensive information about workplace accommodations and the Americans with Disabilities Act (ADA), and can help you determine what accommodations you may need in the workplace.